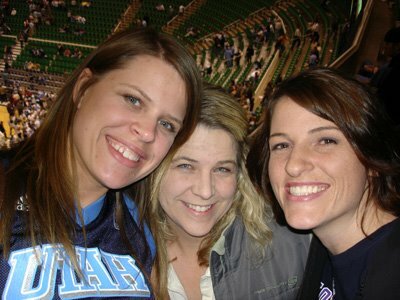 The guys actually gave up their tickets to their wives for a game, so the girls got to go see the Jazz seal the series against the Rockets (game 6). They won by alot, but it was still an exciting game to watch! (This is me with Tracee Derbidge and Susan Napier).